Asthma is a common problem in primary care. Most people can achieve adequate control in this setting by attention to self-management skills and adherence to preventer medication. 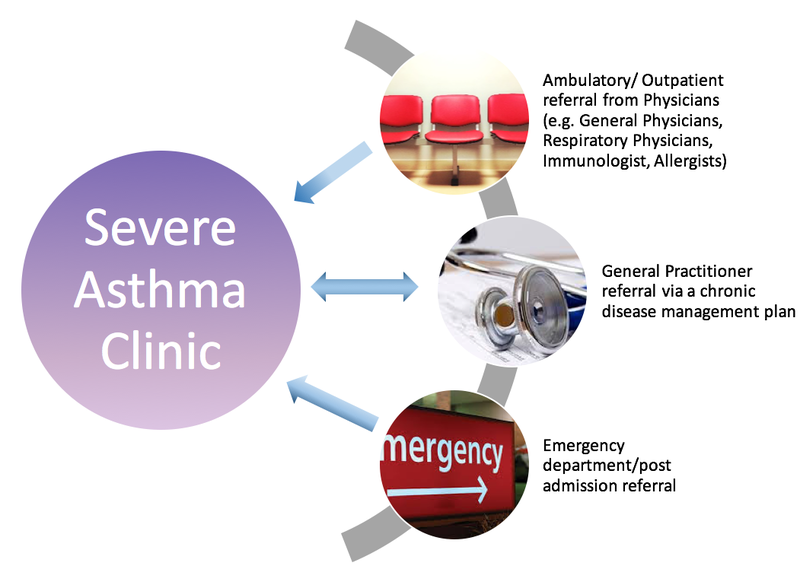 The role of the primary care physician in severe asthma management is to recognise which people with uncontrolled asthma have treatment-refractory disease, and partner with specialist centres to manage these patients. When a severe asthma diagnosis is confirmed or suspected, referral to a specialist centre is recommended. This will facilitate systematic assessment, management of aggravating factors and trial of additional therapies.